Some people treat honesty as a virtue. 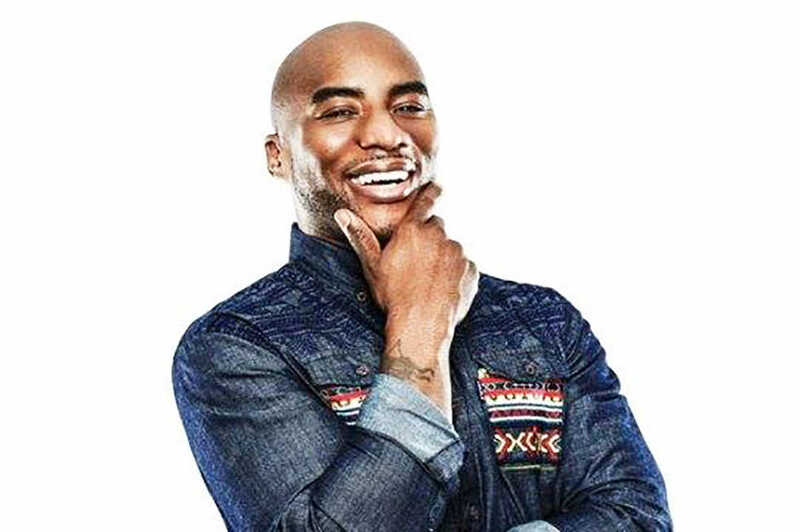 Charlamagne Tha God, host of radio show “The Breakfast Club,” treats honesty like armor. In his upcoming book, “Black Privilege: Opportunity Comes to Those Who Create It,” Charlamagne offers a blunt, humorous account of his life from his upbringing in South Carolina to reforming himself after drug-related arrests to becoming the “Howard Stern” of hip-hop and a social media tycoon. Part biography and part self-help book, Charlamagne hopes his story will inspire readers to pursue their dreams and be realistic about their goals. After landing a job as an intern for a local radio station, Charlamagne found his calling in working as a DJ and giving his unfiltered, unabashed opinion on his show free of charge. From there, he co-hosted a morning show in New York with Wendy Williams and then went on to host “The Breakfast Club,” which is aired around the world, with Angela Yee and DJ Envy. While his personal story reads like a funnier, slightly sordid rehash of the American Dream, the recurring theme in “Black Privilege” is honesty. For Charlamagne, placing importance on always speaking what he believed in started young. “My father was always telling me that you’re not lying to the person, you’re actually lying to yourself. I figured early on that it’s always easier just to tell the truth,” Charlamagne said. Though the colorful anecdotes about Charlamagne’s father and ongoing relationship with his now-wife make for entertaining reading, the most powerful takeaway from “Black Privilege” is Charlamagne’s “PYP” philosophy. PYP stands for Pick Your ___, with the third P standing for Passion, Poison or Procrastination. Using different stories from his life to illustrate each point, he urges readers that they have the choice between pursuing their dreams, getting caught up in their vices or not reaching for anything at all. Of all the stories in “Black Privilege,” the one Charlamagne hopes will stick with readers the most is “definitely looking at all the times I’ve been fired.” Charlamagne has been fired four times from four different radio stations, all for different reasons. Now, he is a host on one of the most popular radio shows in the country. “I feel like anybody who’s ever felt marginalized, anybody who’s ever felt depressed, anybody who feels like they need an extra push when it comes to transcending their circumstances, I believe this book is for them. Because when I talk about the whole concept of privileges, I’m just telling people that my privilege is black because that’s what God made me. God made me a black male. Charlamagne will be signing his book, “Black Privilege: Opportunity Comes to Those Who Create It.” A question and answer session will be moderated by Rodney Ho from the Atlanta Journal Constitution at the Barnes & Noble in Tech Square on Saturday, April 22, at 12:30 p.m.